National Debt Relief is BBB accredited and helps consumers resolve credit card debt problems through debt settlement. Debt settlement is an alternative to bankruptcy and is not a matter of public record. Free consultation and no upfront fees. National Debt Relief is a credit and debt counseling firm based out of New York City but can help clients in almost 40 states around the country. National Debt Relief provides debt relief services through debt settlement. Debt settlement allows consumers to consolidate their unsecured credit card debt and medical bills into one low monthly payment with no upfront fees. Debt settlement does not involve taking out a debt consolidation loan. Debt settlement works by negotiating with creditors on the consumer's behalf for a settlement both parties can agree. National Debt Relief works on a contingency fee basis and only earns a fee when the consumer's debt has been settled. 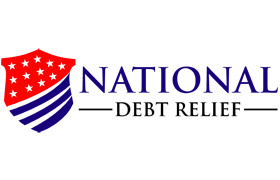 National Debt Relief employs over 100 certified debt counselors who offer hope and compassion to consumers that believe they are out of hope and must file for bankruptcy protection. National Debt Relief's debt consolidation program is an alternative to bankruptcy and will not appear on public records. National Debt Relief is the first debt relief company to be accredited by the Better Business Bureau, the American Fair Credit Council and the International Association of Professional Debt Arbitrators. Consumers struggling with unsecured credit card debt, medical bills and other unsecured personal loans can contact National Debt Relief toll free with no obligation.